On Tuesday I shared a Folger-favorite activity where students create the theatre-going experience of an Elizabethan crowd to see why Shakespeare’s plays had to be so arresting. To continue the experience of bringing words to life, I encourage students to be up, moving around, playing with the language and the motions. Having them imagine what it means to be Iago or Othello. Iago: Ha, I like not that. Othello: What dost thou say? Iago: Nothing, my lord, or if—I know not what. Othello: I do believe ‘twas he. Have students read these lines, which are easy to understand, aloud to each other. Are there hidden meanings? 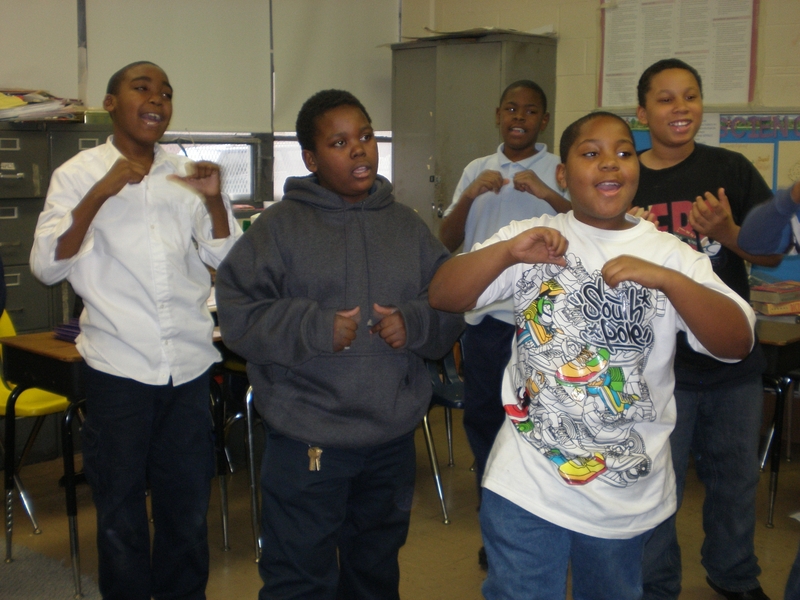 How can students use their voices and their bodies to make the lines “say” more? Iago doesn’t come out and say anything much—why is this exchange so powerful in his grand scheme? Iago: Hast stol’n it from her? Emilia: No, ‘faith; she let it drop by negligence. Iago: A good wench; give it me. Iago: Why, what’s that to you? Iago: Be not acknown on ‘t; I have use for it. Students already understand the concept of the game “keep-away,” which lends itself well to this exchange on both sides. How does it motivate either character? As students have opportunities for performance-based learning, they are able to gain an understanding of the language and the plot because the story becomes real. 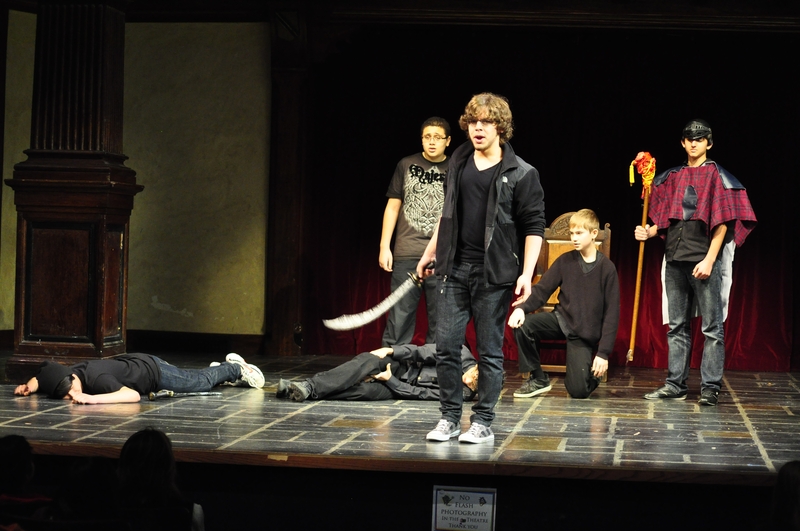 What other exercises have you used to help students experience Shakespeare and bring the text to life? Happy holiday break! I hope you’re enjoying your week off from school (if you have one)! 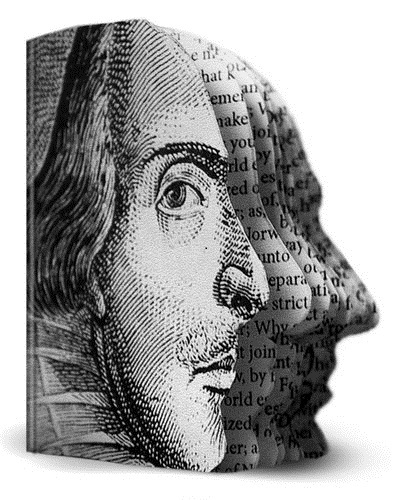 This week I’ll be sharing two activity ideas from Carol Ann Lloyd Stanger on helping students experience Shakespeare to overcome their expectations of the language and text. Please feel free to share your thoughts in the comments, and let us know how your first semester went, or what your plans are for the coming one! We are sometimes asked for help from teachers whose students are having trouble with not only the language, but the plot of a play. For example, I was recently asked by a young friend’s teacher if I could come and talk to her class about Othello, which they are currently studying. The questions I ask myself when preparing for something like this is: How can I help students understand language they don’t expect to understand and follow a plot they expect is too hard to follow? How do I help them overcome their expectations? The Folger’s approach is to give the students activities that help them experience Shakespeare, to help his world come to life off of the page. Sometimes, especially if the students are fairly new to Shakespeare, I’ll begin with having the kids act out theatre in Shakespeare’s time with a simple role-playing exercise shared with us by another Docent earlier this year. A few students will be “groundlings” with permission to behave badly: shout out during the performance, eat, drink, and generally make a scene. A couple of students will sit on the “stage area” as the wealthiest playgoers did. 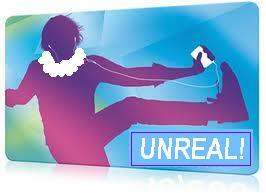 Their goal is not to see the play, but to be seen, so they are encouraged to call attention to themselves. A few more students are merchants, who must sell all their wares if they want to make a living and feed their families. A couple will take the role of “cut purse” and move stealthily about the crowd, stealing whatever they can without getting caught. Now I ask some players to be ready to take the stage in a 3,000 seat outdoor theatre, recognizing they have no microphones and if the groundlings are not impressed they are likely to pelt the players with rotten fruit. At this point I bring in a student to play Shakespeare. What does he need to do to get and keep the attention of this crazy crowd? Having the students experience this for a few minutes, with chaos and laughter and movement, teaches them infinitely more than my standing in front of them and telling them about Shakespeare’s theatre and time. They recognize that Shakespeare must have done something pretty remarkable to have had so much success getting that crowd to hear the play. The play must, somehow, be more interesting than it seems sitting there on the page. This is, of course, the whole point. The play isn’t sitting on a page, it’s alive and active. On Thursday, I’ll be sharing an example of a scene from Othello which students can use to play with the language Shakespeare provided. I’m a big fan of BBC America and one of their latest shows is State of Play. But on Episode Three last night, Idris Elba, (you may remember him as Stringer Bell on The Wire), the host on what the network refers to Dramaville, introduced that episode by saying, “Oh what a tangled web we weave, When first we practise to deceive! and attributed it to Shakespeare. Wrong! It was actually Sir Walter Scott in his epic poem, Marmion. Shame on you, BBC America. “For you suffer fools gladly, seeing yourself as wise.” – II Corinthians 11:19. Can you think of any more? If so, please add a comment below. But I do, because it’s the play that made me a Shakespeare person. Like many, I didn’t particularly care for Shakespeare in high school. Perhaps it was being forced to sit through an audio recording of Burton’s Hamlet for four days. When I was asked to read it in college, I had never even heard of it. I was immediately and deeply struck by the sheer modernity of the play; aside from the language, and the antiquity of the setting, it felt as though it had been written yesterday. My high school teachers had tried to tell me that Shakespeare was relevant, but I wasn’t buying; Coriolanus finally showed me that this was so, and changed the direction of my career. Fiennes’ adaptation, a remarkable directorial debut, confirms what I first felt in college. It was almost redundant of him to update the setting of the play, since the connections to modern times are plain to see in the text. That said, the contemporary setting presses the point home most effectively. In the end, I’ve always believed that there was a reason that Shakespeare essentially abandoned tragedy after this play. In playing out these personal and political difficulties to their logical conclusions, it’s as though he realized that these were knots so complex that they could never be untied. Is it any wonder, then, that he subsequently moved on to a genre where the thorniest of problems could be solved with a simple wave of a magic wand? I have great hope that this brilliant film will deservedly bring the play more into the mainstream. Coriolanus is indeed unlovable; that what makes it such a crucial work. Josh Cabat is the Chair of English of the Roslyn, NY Public Schools. He was the co-founder of the NYC Student Shakespeare Festival, and is currently a Teaching Artist at the Brooklyn Academy of Music. He is an alumnus of the Folger TSI from 1993, and earned his MA in English Literature from the University of Chicago and his BA in English Literature from Columbia University. Coriolanus is currently playing in NY and LA, and will release for a wider run on January 20th. Will you and/or your students see it? Do you think there are more modern politics or references in Shakespeare’s canon? Let us know what you think in the comments! Some recent posts on this blog have noted that introducing Shakespeare’s plays to young students can be a very successful experience for the students and their teachers. 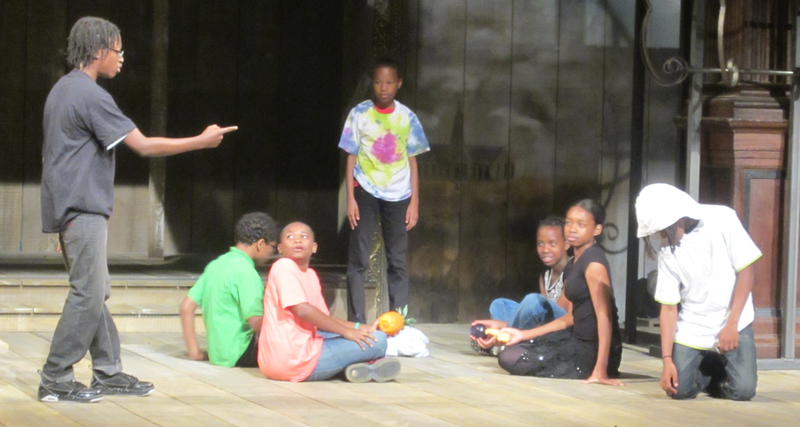 In addition to the Folger’s program for students in grades 3-6, Shakespeare Steps Out (SSO), the RSC has been creating shorter versions of the plays for youngsters. Last year, for example, the RSC presented 70-minute versions of The Comedy of Errors and Hamlet. The results were interesting. Rather than finding the comedy to be more successful with students, the tragedy was the play students connected with because they were able to relate to the family issues within the play. Now, the RSC is planning to film and make available for free to students in NYC a 70-minute version of King Lear. Last year’s efforts were not filmed. If students respond to family issues in a tragedy more than they do to a comedy, what other Shakespeare plays ought to be presented to students? Why? What’s the family-related issue(s) in the play? We give away posters at NCTE featuring quotes we know Shakespeare was the first to use, many of which Shapiro cited in this interview. What I love best about recognizing the scope of what Shakespeare coined in our vernacular is how we teach it to our youngest students in our Shakespeare Steps Out residency program. Telling the students that Shakespeare made up words to fit what he needed them to mean (even by adding an “un” before a word to make it “not” what it was, ie: unreal) widens their eyes to the possibility that they can do the same thing. We give them a handout with blanks on them for new words and ask them to make up words to fit in the blanks (not scanning for iambs, but who says the latest music player on the streets isn’t a “boomshaka”?). It’s also great to be able to tell kids that words they recognize, words they use were first used by the man who wrote the play they’re about to study. It takes away a bit of the the intimidation factor that comes with preparing to read Shakespeare, who may seem foreign to new readers. What say you? Are your students surprised to learn that Shakespeare used the first Knock Knock joke? Or that he created the word “eyeball”? Tell us in the comments! Shameless reminder of offerings: Folger has its own series of podcasts! Look us up in iTunes, or online to stream them. 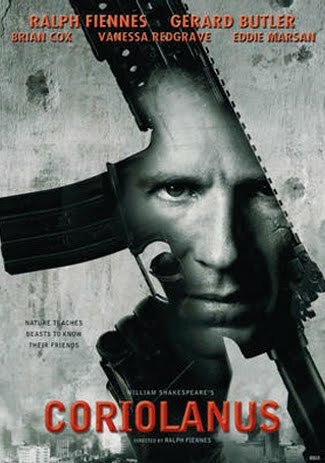 I was fortunate recently to see 10 scenes from Coriolanus, starring and directed by Ralph Fiennes. The presentation at the NY-based Shakespeare Society was part of an informative discussion by David Scott Kasten. The film doesn’t officially open until January, but here is the trailer. In addition to Fiennes, the film stars Vanessa Redgrave as his mother, Volumnia and Jessica Chastain as his wife, Virgilia. Also in the cast are Gerard Butler, Brian Cox, and John Kani. Much Ado About Nothing, directed by Joss Whedon was “filmed in just 12 days entirely on location in exotic Santa Monica.” on the film’s site, director Whedan says, “The text is to me a deconstruction of the idea of love, which is ironic, since the entire production is a love letter – to the text, to the cast, even to the house it’s shot in.” Shot in black & white, the film stars Amy Acker and Alexis Denisof as Beatrice and Benedick, features Castle star Nathan Fillion as Dogberry. Messina High also based on Much Ado About Nothing. It seems that Beatrice and Benedick’s names have been changed to Bernice and Benny and the “teen comedy” is set in Marin County, California, but not many more details are available yet. Hamlet A.D.D. is probably the strangest film to watch for. According to the film’s Website, “Hamlet is an easily distracted prince who is not quite ready to do the task at hand. Challenged to kill his uncle Claudius by the ghost of his recently dead dad, Hamlet enthusiastically proceeds to do everything but. From practicing stage acting in the 1800s to producing a television drama in the 1950s, from dancing at the discotheque in the 1970s to culinary prankery in the distant future, Hamlet always manages to find something to distract himself from taking revenge for his father’s murder. Shot entirely in front of a green screen, HAMLET A.D.D. features live-action characters in a colorful cartoon world. Also in pre-production are a new version of Romeo and Juliet starring Hailee Steinfeld as Juliet and Douglas Booth as Romeo and a film simply called Rosaline also starring Steinfeld. According to IMDB, the latter film, based on a novel by Rebecca Searle, tells the story of a young girl who is dumped by a guy who immediately falls for another girl with whom he forms a suicide pact. Sound familiar?